I have a new picture for you of the Tyrant, Kanazawa “Rose Quartz” Tomoko. It’s hard to see in the picture, but Tomo is squishing my cheek with her hand there. Yep, that’s a tyrant alright. Making it a point of harassing her by actually calling her over like that is a nice touch. There’s been loads of airheads and princess characters so far, but I don’t think there’s been a tyrant character before. I want to be in a public place in front of a bunch of strangers and have her mocking me and calling me the lowest, too. I would like to talk to you about this person. Yesterday in the dressing room of our Nama Tamago Show!, Tomoko-sama’s Tomoko-samaness was really firing on all cylinders again. 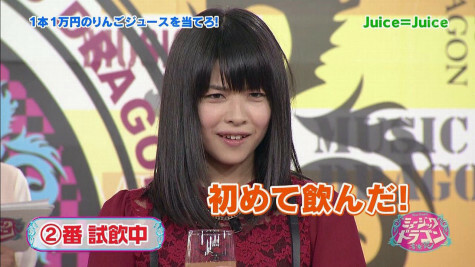 Even after plundering all the dried plums from the rest of us Juice=Juice members, Tomoko-sama still wasn’t satisfied. So next she started coveting after the dried plums of the members of Hello Pro Kenshuusei. The Kenshuusei — being as kind-hearted as they are — said “anything for Tomoko-sama…” as they gathered up their dried plums and put them in Tomoko-sama’s lunch box. Thanks to the cooperation of the Hello Pro Kenshuusei, Tomoko-sama finally had a look of satisfaction on her face. As expected of the tyrant. I’m starting to like her more and more. “Dried plums” is just a codeword for money. The line “watashi wa Rose Quartz” actually originated from Kanatomo herself. This is just business tyranny. Everyone’s settled nicely into a character aside from Uemura Aarii. Aarii is so transcendentally beautiful, she doesn’t need a character. That’s just business transcendental beauty. Kanatomo gathering the celery from everyone and giving them to Karin-chan as a present. I had some free time today, so I went out to do some shopping. For some reason, I ended up buying some weight training equipment. But often times when I buy things, I’ll feel satisfied just for buying it in the first place and I end up not using them at all… But I know I shouldn’t do that! So this time I’m going to really start using the equipment I bought and actually build some muscle. Looking forward to having my hands crushed at a handshake event. So now just being a tyrant on the inside isn’t enough and she’s aiming to become one on the outside, too. So she’s going to have abs like Maimi’s, huh? She must be feeling a great sense of loss having graduated from high school. People who pick up weight training usually do so after they’ve lost something dear to them. I, too, started weight training after my girlfriend who I was seriously considering marrying suddenly dumped me. I want her to kick me. Kanatomo, buying one of those things that let you build abs through electric stimulus and trying it out on Karin’s body. If you come to a handshake event unprepared, she’s going to grab you by the wrist and slam you down on the floor. It’s not muscle for the sake of dancing better. It’s muscle for the sake of violence. 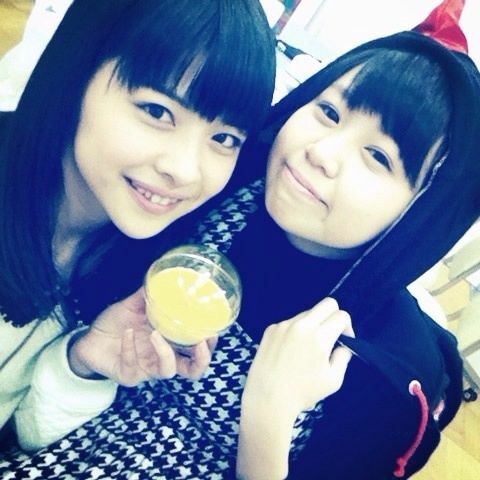 Kanatomo, drinking raw eggs every morning. She checks her progress every day by punching Karin-chan in the stomach. A tyrant acquiring physical strength… that’s like giving a metal rod to an ogre. 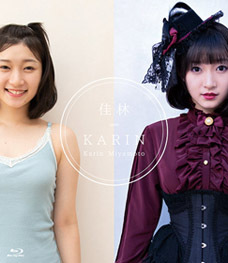 Karin, forging her neck muscles so that Kanatomo’s forehead flicks wouldn’t tear her head off. Along with the muscle training, I also want her to start learning martial arts and proper handling of firearms. Do you know what they call a woman like Kanatomo? I want to be punched by Rose Quartz-san. I want to hear that voice of hers spouting abuse at me. She looks like the type to be dating the vice-captain of the school’s sports club. Tsukapon used to be the sole receiver of all of her violence. After her discharge, Kanazawa became Rose Quartz, a woman indiscriminately violent to everyone around her. Artificial feeding with banana juice? Calling a girl who’s this pure and pretty a “she-devil“… you guys have to be crazy. Don’t let her fool you. 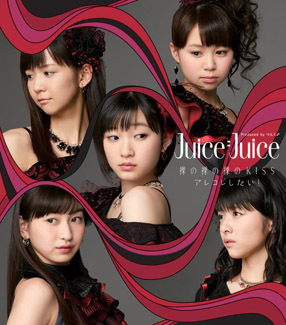 Henkka: While this is so obvious that I feel a bit silly even saying it, I just want to point out that I’m a 100% sure that this is really all just in good fun and Tomoko and the rest of the members of Juice=Juice are just joking around. If anything, I’d say they’re like a close-knit family — whatever little teasing there might be, it’s all just out of love. But only if your idea of a loving family includes domestic violence. Kanatomo is looking this way with an evil smile on her face!!! This girl… I love her! He shouldn’t be giving her ideas. If any idol could even come close to crushing my hand by her own strength with only a handshake…oh man. I dont even. I guess I’m dead cause Ikuta’s my oshimen and I have very thin hands….. She will crush my hands lol. when did Kanatomo start being called “Rose Quartz”? She says the line “I am a rose quartz” a total of FOUR (4) times in that song, and it cuts to a shot of her EVERY SINGLE TIME in the PV. This whole “rose quartz” gimmick HAD to have been planned out by Up!Front Works…it’s waaa~aaay too deliberate. 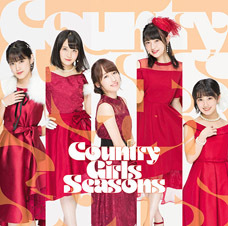 Ahh no wonder i missed it, since i couldn’t watch that PV since seeing Daishi dancing instead of Karin broke my heart. You could always watch the kntm close-up shot or one of the live recordings on Hello! Project Station. Her lines sound amazing. Even scarier, this girl is not just simply a tyrant or muscle-brained bully. She also known as straight-A student, took her last final exam and got perfect score like it was nothing. 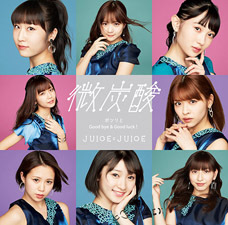 So, a tyrant with a brain and now she want to build some muscle too, and she doing all of these in the background (it’s even unclear who is the “real” leader of Juice=Juice). Just imagine what will happen to H!P when Sayu graduate. 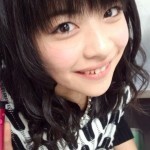 She will make H!P day full with violence. 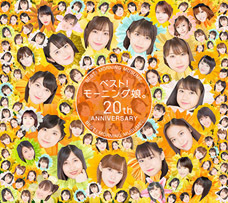 Berryz and C-ute will just get along although it will still impossible (and ever) for KNTM to make them completely obey her, because both leader from these group already agreed for her succession as H!P next leader. 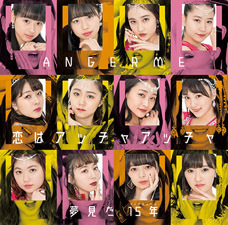 Kenshuusei and 10ki already on her side, S/mileage and Oda don’t have much power to fight back. 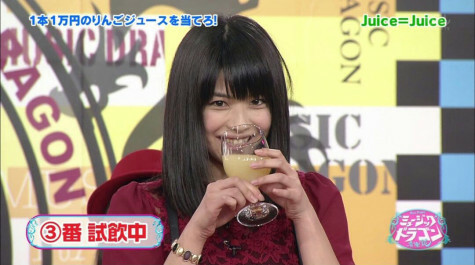 The only obstacle for her to take over the entire H!P under her feet is Sayu and 9ki. She need to wait Sayu to graduate because everyone still support Sayu and it will be a bad move if KNTM do a coup. 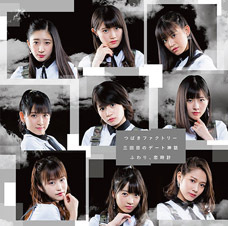 9ki is the hardest to deal with, because of their high pride and also there is Ikuta and Riho. PLUMS FOR THE ROSE QUARTZ! The only other one I can think of would be Momochi, and she’s not typically so obvious about her sadistic nature. Kanatomo’s image is at full throttle now ;D She’s got the most momentum of all J=J members at the moment. Go Rose Quartz, Go! 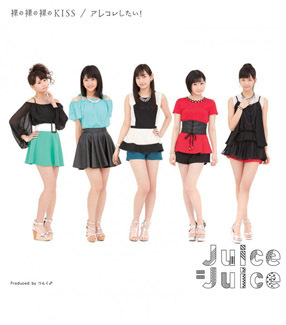 I really need to start following Juice=Juice more. That’s the only difference, and yet it feels like people are getting more and more interested in that idol who looks like if she was plotting something vicious than in our beloved incarnation of purity. – Reinforcing Takagi’s monkey image by giving her a banana shaped pouch. – Revealing that her brother is an anime wota by blogging about a gift she gave him.